We’ve helped over a thousand organisations create thriving, productive workplaces built around human needs, preferences and behaviours. Our training, coaching and analysis support staff wellbeing, encourage positive interactions and build productive relationships, fostering the people-centred culture and leadership that’s crucial to your future success. People who are motivated, engaged, healthy and well-supported not only perform better at work, they also stay longer in their jobs, need fewer days of sick, and are much more likely to act as advocates for their employers. Investing in whole people – not reducing them to their role or function – pays huge dividends. People who are empowered, treated well, and given opportunities to develop will repay their organisations many times over. 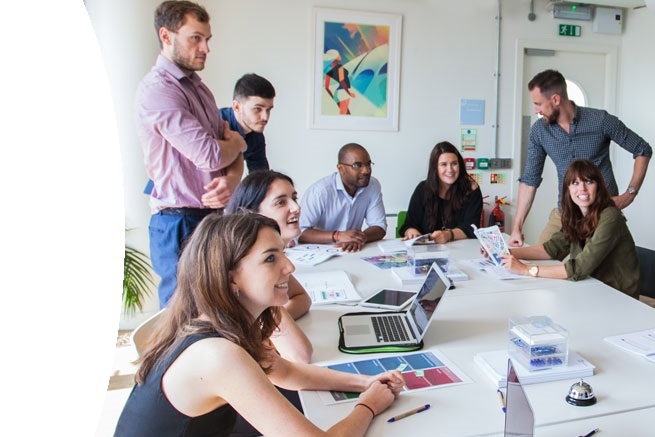 For over fifteen years we’ve been helping organisations ranging from global brands to startups and across private, public and volunatry sectors to build their people’s capacities, engagement and wellbeing. Our model connects individual wellbeing, productive interactions and flourishing relationships in a virtuous circle that drives collaborative and productive people-centred workplace cultures. Creating an effective people-centred culture requires leadership and a development strategy that emphasises the importance of individuals, relationships, and – connecting the two – productive interactions. Wellbeing, interactions, relationships: Each influences the others, and all are essential to great people-centred management and leadership. All our programmes are guided by this essential framework. Individual wellbeing is the bedrock of organisational wellbeing. Emotional, physical and social health are major drivers of performance and morale, and can have a strong influence on both interactions and relationships at work. Individual interactions build into relationships. Positive and productive interactions not only set the scene for great collaboration, loyalty and motivation, they also have an important impact on wellbeing. Excellent, open and honest human relationships are fundamental to a people-centred culture. They empower people to contribute, enable effective leadership, and buttress individual and team wellbeing. Please get in touch for a no-obligation chat about your specific needs with one of our consultants.